Why Not: Set Up an Ice Rink at the Waterfront? As part of an occasional series, GM stops to ask “Why Not?” Today he asks: Why not set up an ice rink at the waterfront? The idea came to GM over the holiday as he was skating in an open air ice rink along Long Island Sound on Christmas Day. It was such a beautiful scene and even on a day like that, it drew a crowd. In DC it is not as simple as throwing down a tarp and flooding it (as can be done up north). It can take a lot of technology. So maybe (rather, probably) GM is dreaming here. 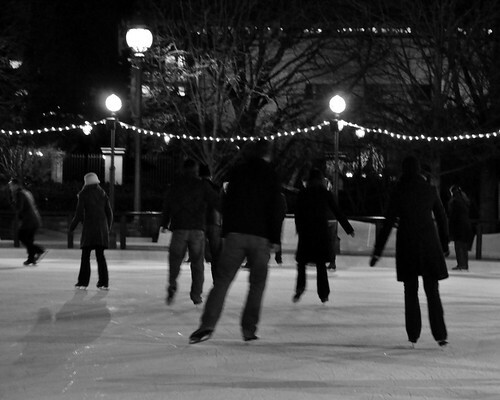 But who doesn’t think it would be an amazing scene to see people gathered by the Potomac skating? Take a trip to any of the other outdoor ice rinks in the area (e.g. the National Gallery of Art rink, Pentagon Row, Silver Spring). They’re packed this time of year. Think of how many people would come down to the waterfront to skate. Popular and wholesome all at once! Alternate idea: dam up a section of the canal and flood it just enough. It’d be cheaper, but we’d have to wait for it to get colder. It works for the Dutch (eventually, at least)! Why Not: Shut Down M St. on the Weekends? Is it such a pipe dream? What about using the enormous fountain pool on the lower level of Washington Harbour? The set-up is not unlike that in Rockefeller Center. They’ve already got the central tower to use for broadcasting music and maybe even for having an ice skate rental stand if they want to do that. The surrounding restaurants/bars would certainly benefit economically from the additional traffic of both skaters and people wanting to watch the skaters, and the place is already festooned with decorations during Christmas. Back in the mid 90’s a group headed my Max Berry proposed a Victorian Band Shell and an ice skating rink for the waterfront park. The citizens were against it and formed a new steering committee with Charles Percy and Bill Cochran to make sure the waterfront remained a “Passive Park” and that is what you got. There was outdoor skating – right in the park along K street across from the movie theater – what, about 10 years ago or so? It was a beautiful scene. The problem with good ideas in Georgetown is that they get shot down by the powers who want NO change, such as what happened with the sweet rink that was there ten years ago. It was so popular with the children/families. But it had actual opponents, if you can believe. But go for it. GO FOR IT. An ice rink sounds dandy. look at what a joy the one at The National Art Gallery is. I would love to have a place to get coco and watch the skaters. Now that there afe so many jolly young families in G.T. lets give all the fun we can. Happy New Year! I have always thought that the waterfront has the potential to be a great, fun and unique cultural center for our region. Imagine families skating, students rowing, band concerts, maybe even varsity croquet tournaments. Wouldn’t the canal be easy? The lack of sun would keep it colder, I presume. In the fall, just work to flatten the surface for a 3-block stretch or so. 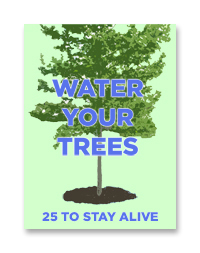 Then fill with 3 inches of water and wait for the first freeze. Or you could put pipes below, but just flattening and adding water would be so simple.